Thanks to the Wellman family for photos and stories of the Weekes / Wellman clan of Montana and Washington state. They are the descendents of John F. Weekes, the son of James Weekes. From the great-great-granddaughter of George Ogle Weekes, news from the family. Marilyn Fowler, daughter of George Harold Weekes and Gladys Newell passed away December 17, 2014 in Hamilton ON. Meanwhile, her granddaughter Robyn Dawson and her partner Jesse Heming on December 4th 2013 gave birth to daughter Ivy Lana Heming. WEEKES, Myrtle Lillian (nee Rathwell) - 1932-2015 Passed away at Rideaucrest Nursing Home on Sunday, August 16, 2015. She will be sadly missed by her husband Robert Leroy Weekes, her daughter Debbie and her husband Dan Theriault of Merrickville, Ontario. Cherished grandma to Dionne (John) Nolan, Bob (Melissa) Theriault, Mike (Stephanie) Theriault and great-grandma to Kael Nolan. Dear sister to Edythe (Arthur) Miller, Elaine (Gary) McCabe and sister and brothers-in-law Ann Rathwell, Ruth Rathwell, Joyce, Merrill and Audrey Weekes, Bill and Mary Weekes, Shirley and Don Hagan, Jean and Larry Obramowich and many nieces and nephews. Predeceased by her parents Elmer and Alma Rathwell and her mother-in-law and father-in-law Roy & Roberta Weekes and brothers Keith Rathwell and Melvein Rathwell. Family and friends will be received at St. Luke's Anglican Church 236 Nelson St., on Wednesday, August 19, 2015 from 10:00 a.m. until the time of the service at 11:00 a.m. Reception to follow. Final place of rest Glenhaven Memorial Gardens. For those wishing, donations may be made to the Canadian Cancer Society or to the Alzheimer's Society would be appreciated. Sharing Memories at www.gftompkins-township. We were sorry to hear of the passing of Phyllis (Tuck) MacPherson , widow of Alfred MacPherson. At home, surrounded by his family Sunday December 23, 2012 at the age of 75. Roger was the son of George Stanley McGillivray and Florence Lewis, grandson of Jane Amelia Weekes and William McGillivray, and great grandson of Edward Fullerton Weekes and Mary Jane McCauley. Passed away peacefully in hospital, Smiths Falls on Sunday, May 6, 2012 Gerald Elmer Weekes in his 91st year. Gerald was predeceased by his parents, Fred and Evelyn (Bass) Weekes. A new addition to the family. Jennifer McQuestion and Dan Laroche have announced the August 20th birth of daughter Amelia Josephine Laroche. We were sorry to here of the passing of Ross Burgess on December 30, 2009. Ross was married to Thelma Hallas, and was the son of Melvin Burgess and Clara Phillips. Winter is being gentle here in Uper Canada, while family and friends trot the globe, including Afghanistan. An interesting note from the Jacklin family in England regarding their family research into Canadian connections in London, Ont. They may not be related to the Jackins of Leeds and Lanark Counties, but you never know. Check out their web site at http://familyhistoryjournal.com/cms/progenitors/jacklin-line. Thanks to the descendents of the Andrew W. Gallagher and his son John Gallagher, we now have a photo of Andrew, father of Hannah (Weekes) Gallagher, John, and many more Gallaghers. Thanks to the descendents of the McChesney family for a photo of John McChesney, husband of Annie Weekes (daughter of James Weekes), plus the fascinating story of John's prospecting in Northern Ontario. We were sorry to hear of the passing of Grant Baker, the last of a generation of children of Alfred and Armie Baker. We have added photos of the Polk Family Cemetery, which is a little tricky to find and access. It is located between Portland and Crosby Ontario on Highway 15. From the booming village of Lanark, news that a street has been named "Norman Weekes Lane", to honour Norman Weekes and his association with the village. 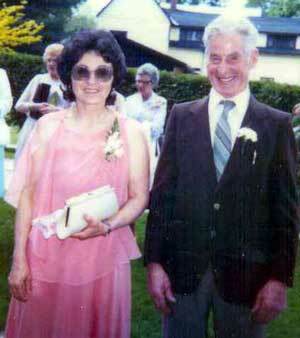 We were sorry to hear of the passing of Alfred MacPherson , late husband of Phyllis (Tuck). 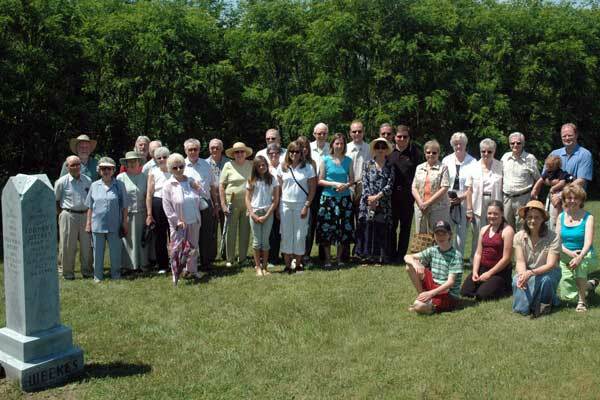 The Weekes Family Reunion was held July 29, 2007, at the Lombardy Agricultural Society Hall. To be added to our email and regular mail lists, send us a note by clicking here. Roy and Elizabeth Mills are pleased to announce the marriage of their daughter, Barbara Elizabeth, to Zoltán Robert Apro, son of Zoltán and Helen Apro of Markham, Ontario. The wedding took place on Saturday, May 26, 2007 at St. John’s Anglican Church South March, Kanata, Ontario. Barbara is the granddaughter of Gordon Davy and Lucy Weekes, great-grand-daughter of George Ogle Weekes and Ivy Hutton, and great-great-grand-daughter of Edward Fullerton Weekes and Mary Jane McCauley. Kate Weekes has released her latest, self-titled CD. Learn more at www.kateweekes.com. We were sorry to hear of the passing of Bud Field, late husband of Joan (Hamlet) Field. Andrew Zealley (of James Weekes' family) has a new recording coinciding with the exhibit at the National Gallery, NATURE: THIS IS A RECORDING. Learn more at www.andrewzealley.com, or The National Gallery of Canada. Delightful news of the recent birth of Ava Nicole Weekes, daughter to Robert D. Weekes Jr and Katelin Anthony, grand daughter to Robert David Weekes, great grand daughter to Robert Henry Weekes, great great grand daughter to Frank Spencer Weekes, great great great grand daughter to George Ogle Weekes, great great great great grand daughter to Edward Fullerton Weekes, and great great great great great grand daughter to Joseph Weekes. We were sorry to learn of the passing of Irwin Baker. Born in Kindersley, Sask. in 1929, Irwin was the son of Morris Grant Baker and Eldora Wright, and was one of the last of John Leonard Baker's living grandchildren. The Creelman, Saskatchewan historical society has published a book to celebrate Creelman's centennial, "Prairie Memories II". It is over 400 pages in length, and has 5 or 6 pages on the story of Fred and Armie Baker, including a number of photographs from that era. The story doesn't add anything new to what we know - they simply reprinted the story that we derived from the taped "interview" with Armie in the 1970s. (That story is on this website as well.) The book costs $60 plus shipping. It has much more extensive coverage of what Creelman and district were like in the early 1900s when the Bakers arrived there, and profiles more extensively the social, agricultural and business scene in that era. If you are interested in ordering the book, click Contact Us, and we will send you the email address for ordering the book. Descendents of Edward Fullerton Weekes and Mary Jane McAuley, along with descendents of Edward's brother James gathered at Union Cemetery in Lombardy to rededicate their grave stone, June 25, 2006. In attendance were great-grandchildren, great-great grandchildren, great-great-great grandchildren and a great-great-nephew. Jeanne Park, daughter of Florence Baker (Meech), has just published her newest book of poetry, Beat of a New Drum. Jeanne has been writing and publishing poetry for years, and her book Turning Home was shared with many of the Bakers gathered at the Merrickville Baker reunion in the summer of 2005. Jeanne is published in over 40 poetry anthologies across the U.S.
We were sorry to learn of the passing of Evelyn Baliko in Columbia, South Carolina. Evelyn was the daughter of George Harold Weekes and Gladys Newell, the wife of William Baliko, and mother to Jo Anne and Douglas. We were very sorry to learn of the passing of Kim (Weekes) Duffiney. Kim was the daughter of Bob and Kay Weekes, mother of Michelle and Kyle, and grandmother of Tyler. BakerFest 2005 (the not quite annual gathering of the Baker clan) was held July 31, 2005 south of Merrickville, Ontario where we celebrated Grant Baker's 90th birthday. Congratulations to Blake Edwards and Terri Coffin (son of Mary, grandson of Austin, great grandson of Mary Jane Burgess, gg grandson of Charlotte Weekes) for their recent marriage. There is an initiative to compare the DNA of various Weeks/Weekes clans to determine if there is a genetic connection between them. These tests will find common ancestors as far back as 1,000 years. The tests are simple cheek swabs from a male descendent of a Weekes/Weeks clan, which is then sent to a laboratory for testing. We (the descendents of Joseph Weekes and Jane Fullerton) have already supplied a sample to the WSSG, but members of other Weeks/Weekes clans are encouraged to participate. Click here to learn more about the project, and how you can become involved, or here to learn about the technical issues in the testing. Lots of new old information on the Baker family. Emily Annis (Lawrence) Baker's ancestors discovered through LDS, taking that family back to the 1400s. Emily was the great grandmother of Muriel (Tuck) Weekes. 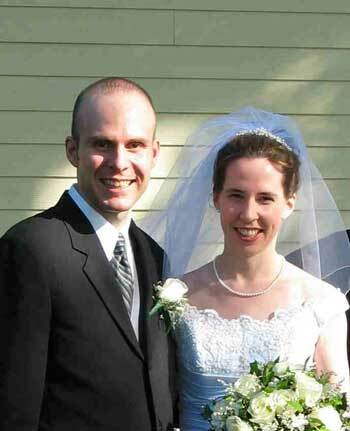 Grant (son of George) and Amy Callan had twin girls Samantha and Rachel born November 2003. Mike (son of George) and Fran had their 3rd daughter born Sept 22/04 and named her Anna Olivia Callan. 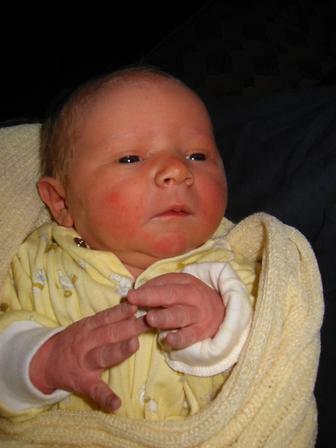 Jeff (son of Douglas) and Lisa had their 2nd son & third child born October 2nd/04 and named him William Jeffrey Callan. 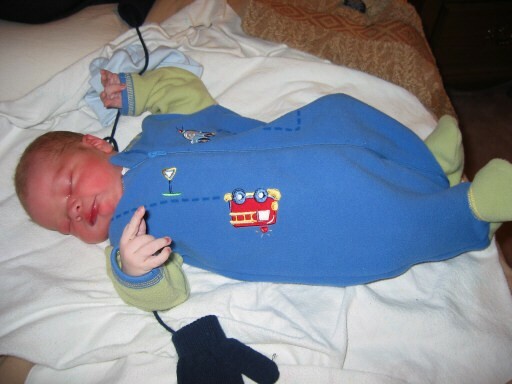 Anita and Steve (son of Douglas) had a third child and 1st son born November 12th/04 and named him Kyle Henry Callan. Alas, we must say farewell to dear Aunt Susan (Eliza) Lincoln. Based on the information to which we had access two years ago, we deduced that Susan was the sister of Edward Fullerton and James Weekes, daughter of Joseph and Jane Weekes. Recent research has uncovered that Susan properly belongs to a different Weekes clan from Leeds Grenville, and has no known connection to our family. Many of us had become quite fond of her, and she will be missed. We will update all of these facts soon, for those who are interested. This raises the question "Who was the second daughter of Joseph and Jane Weekes who immigrated to Canada with them?" Research teams have been dispatched, and will be reporting in soon. The family of Morris Grant Baker has sent new photos and details of Morris Grant, his wife Eldora, and their family, as well as a "new" photo of his parents, John Leonard and Emily Baker. Many thanks. (John Leonard Baker is a great grandfather of Muriel (Tuck) Weekes, not to mention lots and lots of Bakers). For several years, we have wondered about the story of Joseph Weekes, oldest son of Edward Fullerton Weekes, and his sons Albert James, and William Joseph. Thanks to amazing detective work from the "Kankakee Mystery Project Team", not only have we pieced together a sketch of the travels of this branch of the family, but have been in touch with their descendents. We have been contacted by Michelle Maguire who is interested in the family of Emmett L. Weekes ( 1883/1970 ) and Marie Jassick (1882/1956). Click here for details, or contact Michelle. We were sorry to hear of the December 21, 2003 passing of Mary Lenore Zealley. Mary was the great grand daughter of James Weekes (and Anne Smith), brother of Edward Fullerton Weekes. Her grand mother was Charlotte Weekes, her mother was Hilda McCallum, and her aunt was Dr. Mary McCallum. Our thanks to her son Andrew for sharing the news and photo. Bill Flowers has shared information on the Billingsley and Flowers families. The original William Billingsley is the great-great-great-great-great-great-great-grandfather of Miles, Gabriel, Eva, Adam and Kate, on the Muriel Weekes maternal line. Bill has created an excellent web site for his family at www.chaleurgenealogy.beyondgrandmasattic.com. We have been contacted by Peter Weekes of New Zealand. There is no obvious connection with the offspring of Joseph and Jane Weekes, but if we go back far enough, who knows. Learn more about Peter's family. "I would really appreciate it if you could find Ed Clements or a descendent of Ken Clements and Maude Grierson for me. It would be nice to compare notes with another Clements. ... My husband's family, the Clements, lived in Port Elmsley. I have discovered that they too came from County Antrim, about 1845, pre-famine, if one is to believe the 1861 census. I can't help but wonder if they came by way of New York State. ..."
We were sorry to hear of the recent passing of Anne (Rathwell) Baker. Anne was the wife of Grant Baker, and the aunt of Muriel (Tuck) Weekes. Excellent new detail on the life of Joseph Weekes Sr., father of Edward Fullerton Weekes has arrived from a researcher in the UK. This includes details of his military service, physical appearance, pension and death date. Excellent new detail on the life of Joseph Weekes Jr, older brother of Edward Fullerton Weekes has arrived from a researcher in the UK. James Hamlet Magee was born on Oct. 1, 03 at Hillcrest Hospital in Mayfield Heights, OH. The proud parents are Stacy (Field) and David Magee. The proud grandparents are Joan (Hamlet) and Bud Field. The Magees reside in Cleveland Heights, OH. We were sorry to hear of the recent passing of Mary Martin (Hawkes) in Smiths Falls. We had a note from Bob Phillips, who pointed us to the RootsWeb database for the Phillips and Burgess families. Lots of solid family tree data in this database. Click here to go directly to Melvin Burgess' page from which you can navigate through the generations. Katelynne Georgia Callan, born to Michael and Francine on July 3, 2003. 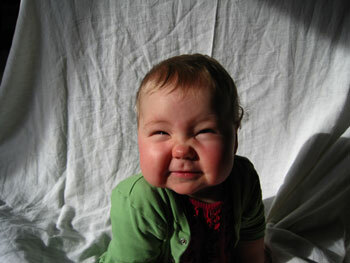 Baby daughter Blake Callan was born to Lisa Oakes and Jeff Callan on April 19, 2003. Announcement courtesy of proud grandparents, Elinor and Doug. 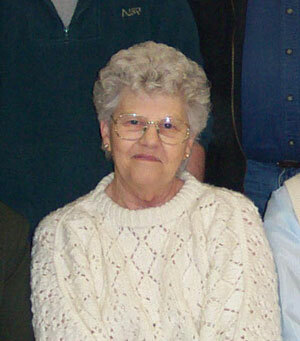 We were sorry to hear of the recent passing of Anne Rose Arsenault, wife of Don Weekes, and mother of Glenn and Susan. Today we have gone "public". Welcome all!